TACLOBAN CITY – Major General Arthur Tabaquero, commanding general of the 8th Infantry Division based at Camp Lukban, Catbalogan, Samar, condemned the brutal attack and heartless killing of two soldiers and 2 civilians and the wounding of another soldier, at 1:30 in the afternoon of May 30, in Barangay Polangi, Catarman town, allegedly, by the members of the New Peoples Army operating in Northern Samar. Adona Lira, a young mother who was about four months pregnant and her less than two years old daughter Shifra Ann Lira, went to the temporary detachment of the 20th Infantry Battalion section at Barangay Polangi, Catarman, Northern Samar in the morning of May 30, 2009, to visit her husband who is a soldier belonging to the detachment, and also to get the salary of her husband. Little did Adona know that it would be the last time to be together as a family; and that was the last chance for her to see her loved ones. About 50 communist terrorists aboard two privately-owned Isuzu Elf trucks and one dump truck, parked in front of the detachment at about 1:30 in the afternoon and all at once, threw grenades and fired high-powered rifles at the temporary detachment of the surprised troopers of the 20th Infantry Battalion section. Adona and two other soldiers died, while her soldier husband and her less than two years old daughter were wounded and brought to a hospital in Tacloban. Unfortunately, the innocent child, Shifra Ann, died at the hospital. “Victimizing innocent civilians is a clear violation of the agreement on Comprehensive Agreement on Human Rights and International Humanitarian Law (CAHRIL) and a brazen violation of Humanitarian International Law,” MajGen. Tabaquero said. “The military is now conducting hot pursuit operation on the perpetrators of the merciless crime,” MajGen. Tabaquero intimated. The owners of the private vehicles used have already been identified, he added. The commanding general also called on the public to provide information on the whereabouts of those behind this ruthless attack, so that they could be brought to justice and so that they will no longer be able to repeat the brutal act. The commanding officer disclosed that a section of the 20th Infantry Battalion based at Calbayog City was temporarily assigned at Barangay Polangi, Catarman, Northern Samar upon the request of the Northern Samar PENRO because of alleged illegal logging activities and NPA citing in the area. TACLOBAN CITY – The Department of Education in Region 8 is known to be one of the best Regional Offices in the entire Philippines having topped national achievement tests and other assessment in the academic aspect. In order to perform better this coming school year, the Department of Education together with the Inter-agency convergence group assessed the performance indicators for the previous school year to determine the hotspots so that the necessary measures could be put in place. In the drop-out rate in the elementary level, Southern Leyte recorded the highest drop out rate of 9.77% while Eastern Samar recorded the lowest drop out rate with only 0.36%. In comparison with the 2007 school year, the dropout rate in the elementary level decreased from 1.41% to 1.32 percent. For the secondary level, the Region had a poor performance in terms of drop out rate. Tacloban City Division had the highest drop out rate of 10.03%. Maasin City had the lowest with only 1.93%. Compared to 2007, the drop out rate decreased from 5.15% to 4.96%. For the Cohort-Survival Rate in the elementary level, Southern Leyte marked the highest with 80.1%, the only division which surpassed the Education For All target of 78.96%. Calbayog registered the lowest cohort-survival rate with only 48.69%. For the cohort-survival rate in the secondary level, Leyte marked the highest cohort-survival rate followed by Southern Leyte and Eastern Samar. Four Divisions, Biliran, Leyte, Southern Leyte and Eastern Samar surpassed the Regional Cohort-Survival target. However, all the ten divisions did not meet the 2010 target of 77.26%. Maasin City registered the lowest participation rate in the elementary level while Northern Samar had the highest participation rate with 87.35 %, still way below the 2010 Education for All target of 95.10%. For the secondary level, Eastern Samar registered the highest participation rate with 55.56%, still way below the 2010 EFA target of 77.73%. For the Completion Rate in the elementary level, Southern Leyte registered the highest with 79.36% while Calbayog City registered the lowest with 48.36%. For the Completion Rate in the Secondary Level, Leyte registered the highest with 65.38% while Samar contributed the lowest completion rate with only 50.63%. TACLOBAN CITY – Classes for the new school year will open on Monday but this early some 100 happy school graders of St. Bernard, Southern Leyte are already raring to go wearing their new shoes. These school children from the poorest of the poor in St. Bernard received “Ople Shoes” from the Blas Ople Policy Center and Training Institute. No less than Ms. Susan Ople, the youngest daughter of the late former Speaker, former labor secretary and former foreign affairs secretary Blas Ople, the president of the Ople Policy Center, personally distributed the made to order shoes to the lucky children of St. Bernard on May 28, 2009. Ms. Ople and her staff arrived quietly in Tacloban in the afternoon of May 27 and went to St. Bernard early in the morning of May 28. There is more to the shoes than just the giving, though. Ms. Ople said that the giving of shoes is giving of hope and inspiration to the poor children of St. Bernard. The passage became the inspiration for “Ople Shoes,” a gift-giving project, because the young school children of St. Bernard have to look their best for the beginning of classes on June 1, Ms. Susan Ople said. “We wanted to remind the recipients that once there was a children who just like them, walked to school in slippers, but because of hard work and love for books and writing, that child was able to succeed in life as a writer, public official and statesman,” Ms. Ople concluded. TACLOBAN CITY – The Tacloban City Police Station has been upgraded into a Police Office, Police Senior Superintendent Manuel Cubillo informed. The upgrading ceremony will be conducted on June 1, 2009 at ten o’clock in the morning at the Tacloban City Police Grounds, the Information Officer of PNP 8 said. The upgrading is connected with the conversion of Tacloban City into a Highly Urbanized City. This is also pursuant to General Order No. DPL-09-02 from the Philippine National Police National Headquarters, Camp Crame Quezon City dated March 27, 2009. Police Regional Office 8 Director Mario San Diego and Tacloban City Mayor Alfred Romualdez, are expected to grace the historic event. The upgrading into a Police Office means that Tacloban City Police will no longer be under the Leyte Provincial Police Office. A city police office director is equal in position to a police provincial director. He will be reporting directly to the police regional director. Once upgraded into a city police office, it is expected that there would be a tremendous increase in funds like the monthly operational expenses budget from Camp Crame and other benefits. The Tacloban City Police Office would also have additional personnel to get the ideal 1:500 police to population ratio. With the upgrading, the young Col. Romulo Cleve Taboso will be the last City Chief of Police and the first Director of the Tacloban City Police Office. TACLOBAN CITY – The graduation of the 7th batch of season-long training on high value crops and vegetables was conducted recently at the Tanauan, Leyte Food Always in the Home (FAITH) Techno Demo Farm in Barangay Maribi. This is a tangible manifestation that the local government of Tanauan, Leyte has sustained its commitment to enhance the productivity of farmers and ensure food security in every home through the conduct of season-long trainings on high value crops and vegetables. The 27 graduates composed of barangay captains, barangay kagawad and farmers harvested their crops composed of luscious watermelons, squash, beans, ampalaya or bitter gourd, eggplant, pipino, melon and upland kangkong. Mayor Roque Tiu, who is also a graduate of the same training when it was first introduced by then Governor Remedios Petilla, said that the graduates underwent a hands-on training on modern farming, from the land preparation to planting to weeding and pruning up to harvesting, under the supervision of the Leyte Provincial Agriculture Office. The trainees could not graduate without showing a plantation they themselves prepared and tilled, with ready to pick fruits, Mayor Tiu said. During the graduation program, the graduates were given farm inputs like assorted high value crops seeds and fertilizer, so that they will be able to apply what they have learned in their respective agricultural lands. Provincial Agriculturist Roger Portula congratulated the local government of Tanauan saying that among the many techno demo farms established, the Tanauan Demo Farm is the only surviving and sustaining techno demo farm aside from the Provincial Techno Demo Farm. Since the Tanauan Techno Demo Farm was established in 2004, it was able to sustain its operations, conducting season long trainings so that the farmer-constituents will be able to enhance their production and increase their income. Mayor Tiu expressed his appreciation to former Governor and former Congresswoman Remedios L. Petilla and Governor Carlos Jericho Petilla for initiating the trainings at the Province of Leyte Techno Demo Farm and extending it to the municipal techno demo farms. Mayor Tiu, who was among the first trainees at the Leyte Techno Demo Farm, saw the beauty and the importance of the trainings. For one, he could now encourage the farmers with more authority since he himself has been one of them. While Tanauan has always been blessed with plentiful vegetables, Mayor Tiu said that since the conduct of trainings, more plentiful harvests and more variety of vegetables and watermelons have been observed in the municipality. Today, the municipality no longer lacks fruits especially watermelons which are very important to health. In fact, the town is fast becoming known for its sweet football-like Formosa watermelons, Mayor Tiu added. To enhance food security, the local government has also encouraged the production, among others, of smoked fish, rellenong bangus and the production of "itlog na maalat" which are now aplenty in the municipality. TACLOBAN CITY – The province of Leyte for the third consecutive year showcased its rich cultural heritage in a month-long celebration dubbed as Leyte Heritage Festival, in the month of May which is also commemorated as the National Heritage Month. The Leyte Heritage Festival Month Committee which is institutionally led by the UP Leyte-Samar Heritage Center, under the chairmanship of Prof. Joyce Dorado, has organized several activities for the preservation, protection and promotion of Leyte’s cultural heritage. In collaboration with the Province of Leyte, the Archdiocese of Palo and the Parish of Our Lady of the Assumption, this year’s culmination of heritage events was the Tanauan Church Heritage Festival. The activities kicked of with the Heritage Mass at 9:00 o’clock in the morning. The mass songs featured the compositions and arrangements of the late Tanauan composer and choir master Mr. Daniel Basas, performed by the Balinsasayaw Singers. The Saro-Saro ngan Pasundayag was hosted by Mayor Roque A. Tiu at the Tanauan Municipal Hall. It would be recalled that the month-long celebration started with the Palo Church Heritage Festival. The main purpose of these activities is to revitalize the existing rituals of devotion through the artistic presentation of the traditional songs and other performance elements such as the choreography of procession formations. The Traditional Flores de Mayo, the Santa Cruzan and other Leyte traditions and rites were highlighted during this year’s month-long celebration. Other activity is a cultural exhibit dubbed as Ladawan Han Santo Niño Ha Mga Tawo which will go on until June 30 at the Hotel Alejandro, Tacloban City. The Leyte Heritage Festival which is in consonance with the National Heritage Month celebration, featured cultural heritage tour, visual arts exhibit, cultural performances of traditional dances, music, poetry and drama and other exhibits. President Arroyo mandated the creation of Filipino Heritage Month under Proclamation 439 on August 11, 2003, declaring the month of May of every year as National Heritage Month. The event recognizes the need to create among the people a consciousness, respect and love for the legacies of Filipino cultural history. CATBALOGAN, Samar – Pinabacdao town, a 4th class municipality of Samar and 50 kilometers north of Tacloban City has been dubbed as the ‘hotbed of best practices’. This was the brand, Presidential Assistant for Eastern Visayas Cynthia Nierras gave to this town during the Municipal Development Council Meeting and Donors’ Forum on May 27, 2008. The meeting was attended by representatives of the different agencies and departments which Mayor Mario Quijano himself invited. Nierras asked the permission of Quijano to replicate the same initiatives in other pro-development municipalities. Pinabacdao actively pursues a participatory approach to needs and concerns from the 24 barangays. This so called small town with big dreams has been involved in various projects in the past that donor agencies fund, of course with a little equity that the LGU does not mind. These are the Community Based Monitoring System (CBMS), an organized system of monitoring and collecting household information at the local level to include data on poverty indicators such as health, food and nutrition, water and sanitation, shelter, peace and order, income, employment and education. KALAHI-CIDSS which is the PGMA’s anti-poverty project implemented by the Department of Social Welfare and Development (DSWD), which aims at empowering the people, enhancing local governance, and addressing the problem of poverty. Pinabacdao was the first pilot area in Samar province in 2003. Three other projects, Social Inclusion Project (Conflict Areas 2007) was funded by the Japan Social Development Fund. It aimed to invite residents in these conflict-affected communities increase their participation in local development activities. Another project, Piso Mo Kalusugan Natin ‘minimizing deaths and debts’ aims to enhance promotive /preventive health services to reduce the illnesses and the need for hospitalization. Meanwhile, a third project Bantay Sangkay, an LGU–led initiative seeking to imbed social accountability mechanisms, adoption of Community Driven Development (CDD) approach in local planning and public expenditure management cycle to continue participatory processes and the gains of Kalahi-CIDSS of which Pinabacdao is a recipient. Regional Directors and the NGOs represented were unanimous in saying that Quijano does welcome all projects, whether he gives equity or counterpart or even co-share, just as long as the project benefits his constituents. So that when PA Nierras asked Mayor Quijano’s permission to use Pinabacdao as a model town, all Quijano could do was to smile. ST. BERNARD, Southern Leyte – A month before the culmination of the 3-year implementation of the Japan Fund for Poverty Reduction -Southern Leyte Landslide Disaster Assistance Project (JFPR-SLLDAP) grant from the Japanese Government thru the Asian Development Bank (ADB), the Bolod-bolod - Catmon farm to market road is now open for public use to serve at least ten barangays inland. Led by ADB Project Officer Aziz Haydarov, the cutting of ribbon and unveiling of marker of the newly concreted municipal road was assisted by St. Bernard Municipal Mayor Rico Rentuza, Executive Secretary Esledo Hernandez, representing Provincial Governor Damian G. Mercado, Provincial Planning & Development Officer Virginia Lim-Cruz, Provincial Engineer Fernando Moralde and barangay officials. The completed 4.1 kilometer road also led to Tambis II, the neighboring barangay which serves as the location where activities relative to commemoration of the landslide occurence in Guinsaugon are usually held. “This is the road to recovery”, Mayor Rentuza said although the municipality experienced great loss of lives during the Guinsaugon tragedy but the road concreting project touches more lives particularly among the farmers in bringing their agricultural products to the market. 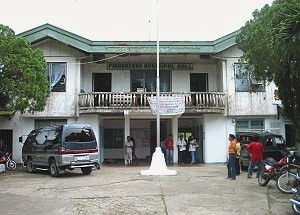 The P20 M road concreting project is among the five road construction projects to include the construction of 16 school buildings, one Out-Patient Hospital building in Anahawan District Hospital, construction of the Provincial Disaster Management Center, procurement of medical and office equipments, among others. The JFPR-SLLDAP is a grant in the amount of US $3M implemented since June 2007 and culminates by June 2009. CATBALOGAN CITY – Gathering the so called stakeholders in education, Samar DepEd Division headed by Superintendent Alfredo Dacuro tried to obtain commitments to ensure that the first day of classes on June 1 goes on without hitches. The convergence meeting for stakeholders took place at the Redaja Hall, Catbalogan City today, May 28, 2009. DTI assured the more than 50 school principals and 24 district supervisors that prices of school supplies have maintained their prices. PNP assured deployment of their elements for police visibility deputization of barangay tanod for remote areas for security and order. LTO assured the protection of student commuters from the PUJ’s who will not honor the discounted fares of students. DPWH committed to finish all pedestrian lanes and signages in school premises to ensure that motorists are very much aware of school zones, this apart from providing school buildings and repair of dilapidated classrooms. DILG vowed to mobilize all government units to support the Oplan Balik Eskwela; to revitalize school boards for the benefit of the smaller schools direly in need of the special education funds. The Samar Provincial Health Office gave the most commitment by giving reminders to the administrators what they can impart to the students as regards protection from the dreaded AH1N1 virus that has reportedly entered the country the last few days. Ms. Alexandra Alvarez, health educator stressed the need to eat fresh fruits and vegetables to boost resistance, do frequent handwashing, observe cleanliness and hygiene and be aware of sick neighbors so as to keep a safe distance. The health educator also reminded the teachers to seek immediate medical attention for them and their students who experience the signs and symptoms especially those who have come from areas with confirmed cases of the virus. After all the pledges and commitments, Dacuro issued a stern warning about compliance of school heads re ‘no collection policy’ during enrollment time. He also reminded the teachers to start regular classes immediately on June 1, 2009. CATBALOGAN CITY – It easily rained CLEEP pledges in Pinabacdao town last Wednesday! Comprehensive Livelihood Emergency Employment Program (CLEEP), President Gloria Macapagal-Arroyo’s project to mitigate the effects of the global financial crisis easily became the menu for the line agencies’ commitment to Pinabacdao’s cry: to support the development of this 4th class town. Initially, Ms. Fe Estrella of the Department of Labor and Employment (DOLE) Provincial Office that also represented DOLE Regional Director Atty. Forter Puguon committed some P1.62 M from its CLEEP to be awarded to two Pinabacdao associations. The Technical Education and Skills Development Authority (TESDA) also committed the training of some 20 scholars this July 2009 where the training is free and scholars are also given allowances. As for the health department, Regional Director Edgardo Gonzaga promised to support 4mula for health, Philippine Health Insurance cards for 1,500 indigents, training for Botika ng Barangay (BnB) operators, provision of at least one BnB for two barangays, provision of potable drinking water and support to the InterLocal health Zone called South Maqueda Bay (SMB) where Pinabacdao is a member. Infant and Young Children Feeding Program (IYFP), Accelerated Hunger Mitigation Program (AHMP) and support on the Barangay Nutrition Scholars training and allowances and maintenance of the Barangay Health and Nutrition Post were the commitments of the National Nutrition Council as read by Dr. Gonzaga. DSWD also pledged from CLEEP P7.2M worth of water system for Kalahi-Cidss projects where the projects on infra became a job generated activity. As to the project Pantawid Pamilyang Pilipino Program (4Ps), DSWD committed to extend the program to qualified families in the 24 barangays of Pinabacdao. For the National irrigation Administration (NIA) Engr. Amaadeo Montejo pledged P5M for an irrigation project from PGMA’s Fertilizer, Irrigation and Infrastructure, Education and training of farmers and fisherfolk, Loans, Dryers and other postharvest and facilities, and Seeds of the high-yielding, hybrid varieties also known as FIELDS. DENR also pledged 80 job slots for Bantay Gubat and Bantay Dagat and the co-management of the remaining forest reserve in the town of Pinabacdao. The Department of Agrarian Reform (DAR) also committed projects to be funded by the Asian Development Bank (ADB) that will support the needs of six upland barangays. For the Department of Trade and Industry (DTI), the agency committed some training for handicraft and coco coir project and the training on how to start and manage own business again under the CLEEP. Some other projects not necessarily involving CLEEP brought smiles and applause from Mayor Quijano and his officials especially those coming from the 24 barangays. For their part, Samar Vice-Governor Jesus Redaja committed 200 toilet bowls, some jet matic pumps, booster pumps, ploughs, grass cutters and seeds for the farmers. Presidential Assistant for Eastern Visayas Cynthis Nierras completed the commitment to sanitation by providing the remaining 1150 toilet bowls for Pinabacdao folks and a promise to look into other matters that will surely be beneficial as reflected in their needs assessment. As an assessment, Mayor Mario Quijano said that his concerns have been ‘substantially’ covered by the different commitments offered by the convergence of the line agencies, NGOs and other donors and sponsors. TACLOBAN CITY – Top Eastern Visayas officials are scheduled to attend the joint meeting of the Lakas Christian Muslim Democrats (Lakas-CMD) and Kabalikat ng Malayang Pilipino (Kampi) to be presided by President Gloria Macapagal-Arroyo. Five governors of Eastern Visayas have been invited to attend the important political event because they are either affiliated with the Lakas-CMD party or Kampi. The notice of the joint meeting was sent to Leyte Governor Carlos Jericho L. Petilla, Biliran Governor Roger Espina, Southern Leyte Governor Damian Mercado and Eastern Samar Governor Ben Evardone by Lakas Secretary General, Senator Juan Miguel Zubiri who said that the National Consolidation and Unification Committee which was tasked to work on the Lakas-Kampi merger is about to successfully conclude its mission. Samar Governor Mila Tan belongs to Kampi and she is also expected to attend the joint meeting of the two parties at the Manila Hotel on May 28. It was learned that the Lakas and Kampi City Mayors in the Region will also attend the joint meeting. It was also learned that Tanauan Mayor Roque Tiu have also been invited to attend the joint meeting as an officer of the League of Municipalities of the Philippines. Senator Zubiri in his communication said that fundamental obstacles have been satisfactory addressed and a new draft of Constitution and By-Laws for the merged Party is now ready for presentation and adoption. President Gloria Macapagal-Arroyo, together with House Speaker Prospero Nograles and Camarines Sur Rep. Luis Villafuerte, would preside over the caucus to be attended by the national directorate of Lakas and the national council of Kampi, including all the national officers, incumbent governors, congressmen and city mayors belonging to both parties. Both Speaker of the House of Representative Nograles and Congressman Villafuerte have both resigned as party heads to give way to the merger, it was also learned. 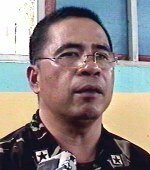 In an earlier statement, Presidential Adviser for Political Affairs, Secretary Gabriel Claudio who is also from Region 8, said the “historic” meeting is for the purpose of considering the adoption and ratification of the new constitution and by-laws of the proposed merged party, which was initially suggested to be named as the Lakas-Kampi-CMD. “In effect this will seal and formalize the conclusion of efforts to consolidate the organization of the two political parties into one,” Senator Zubiri added. MAASIN CITY, Southern Leyte – An eleven-year old kid fresh from Maasin City won the national search for “Batang May Ibubuga Barangay Singing Idol 2009” aired at Eat Bulaga, Saturday, May 23. Regine Roa from Barangay Badiang, this city competed two other finalists, one each from Mindanao and Luzon areas. Her winning piece “And I Am Telling You”, made famous by Jennifer Hudson in the musical movie Dreamgirls drew the audience because of her good, stunning voice. Regine, who will be a sixth grader this school year enrolled at Saint Joseph College here started singing during her prep years and had already participated in different singing competitions nationwide, according to her grandmother Lina Roa, a utility worker of the Maasin City hall. The elder Roa said that her “apo” auditioned at Cebu City for the “Batang May Ibubuga Barangay Singing Idol Search 2009” sponsored by Solmux, where three of them coming from the different parts of Visayas competed for the semifinals. And fortunately, Regine emerged as the winner to represent the whole Visayas Region and vied two other contestants from Luzon and Mindanao last Saturday, at the noontime show Eat Bulaga. Regine brought P200,000 as cash prize, a Laptop and some consolation prizes, her grandmother reported. She is expected to be home on Friday together with her father, Romeo Roa Jr., a School Principal of Badiang Elementary School. Her mother Delia is also a teacher by profession, she added. Meanwhile, City Mayor Maloney Samaco during the regular program this morning at radio station DyDM prepared to welcome the new “Singing Idol” with a motorcade around the city proper and suggested to file a resolution recognizing Regine as a national champion in the field of music. BORONGAN, Eastern Samar – Department of Trade and Industry (DTI) here reiterated that Liquified Petroleum Gas (LPG) must at all times contain 11 kilograms, otherwise it is a violation of the Fair Trade Act. Miss Tonette Candido of DTI Borongan however mused that consumers, for a thousand and one reasons would not dare check with the LPG dealer if the cooking gas they are paying for P540 or so, is exactly 11kgs as prescribed. 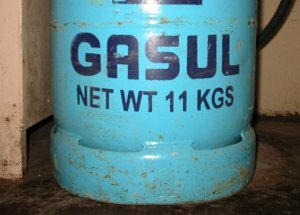 “People should insist when they buy either Pryce Gas, Gasul or Shellane to weigh its contents”, Tonette said. “However, what is more saddening is the fact that most of the dealers here do not provide their customers with an accessible weighing scale in their store premises which makes it most impossible for the consumers to check if they are not being abused by the businessmen in town,” she added. 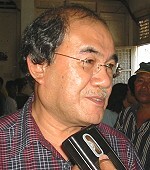 Candido thus, wished, that the Local Government Unit of Borongan passes and approves an ordinance which would require gas dealers to display functional weighing scales for LPGs to ensure that housewives get their money’s worth and too, so they would no longer asked why they would run out of gas after only three weeks of stingy kitchen use. Likewise, DTI Provincial Caretaker, Eleanor O. Alido warned gas dealers of their tolerance in allowing sari-sari store owners to buy and sell gas. “That should not be!,” Alido asserted. “There should be no retail outlets for gas, except for authorized dealers. Besides, everybody knows, Borongan had already been razed by fire some time ago and there should be no repetition of that very expensive return,” she continued. The lady DTI boss was referring to several clearances and requirements which must be met before LPGs are entrusted to sari-sari stores for commerce, to ensure that fire and environmental safety are taken into account. Besides, she said that sari-sari stores are classified with such a capitalization which definitely should not qualify them to dispose LPGs, otherwise, they should have their store reclassified and pay the corresponding revenues. On the same note, DTI had always been wary over the retail of gasoline and other petroleum products in the barangays which are sold in family size bottles of softdrinks. Dubbed “Bote-bote” this was also referred to as fired hazard by DTI and illegal as well. TACLOBAN CITY – The Department of Public Works and Highways in Region 8 was assigned to implement 246 schools projects amounting to P120.592 Million for fiscal year 2008, the Department of Public Works and Highways Region 8 representative to the Inter-Agency Convergence Meeting at the Department of Education on May 22, informed. Of the 249 schools projects, 190 schools have already been completed, 24 are ongoing and 22 have not yet been started because no SARO has been received yet. Another reason why several schools projects have not been implemented is the realignment of schools projects by several congressmen of the Region. One more reason is the lack of available sites for the school building, the DPWH representative said. The DPWH has also completed the repair and maintenance of about 125 schools, DPWH informed. DPWH, being the infrastructure arm of government has been assisting the Department of Education in the implementation of school building projects in order to lessen the problem of insufficient classrooms for the Region 8 students. Meanwhile, the Department of Education informed that there are still 35 school-less barangays in Region 8. These school-less barangays include 5 in the Leyte Division, 1 in Southern Leyte, 3 in Eastern Samar, 13 in Samar, 2 in Tacloban City and 9 in Northern Samar. Director Matugas immediately directed the School Division Superintendents to submit the list of the specific barangays which remain school-less up to this time. Director Matugas said that this should be looked into because this will also cause the low turn out of enrollees for this year. DepEd may resort to multi-grade classes if the number of students in one barangay is too little. MAASIN CITY, Southern Leyte – Are you constantly cheerful, optimistic, able to rise above life’s seeming insurmountable challenges, and capable of bringing a positive impact on other people’s lives? Then you may be the right pick for the first of its kind nationwide search for the most happy Filipino who ever lived. And once you got such a singular distinction, a P200,000 tax-free, cash prize is all yours, a sizeable sum of money enough to make you smile and be happy even more. The contest itself is no laughing matter, and it’s not a joke, either. “We’ve been talking about this for more than two years now. We want to show the world that Filipinos are happy,” said Philippe J. Lhuillier, chair of the Lhuillier Group and Philippine Ambassador to Italy, in a report published in one of the country’s broadsheets last week. Spearheading the “Search for the Happiest Pinoy” was Cebuana Lhuillier Insurance Solutions (CLIS), formerly P. Lhuillier Insurance Agency, and the competition was launched in celebration of its 10th anniversary. But you cannot nominate yourself, for entries from people nominating themselves will be disqualified right away. According to the report, a 50-sentence essay is required for each nomination, describing the life story of the nominee, exceptional traits/character, that makes him/her constantly cheerful/optimistic, events in his/her life that demonstrated inner strength and resilience, and how she/he made a positive impact on the lives of those around him/her. “A screening committee will select the top 20 from all entries received by September 15. A selection committee/board of judges will then chose the top five finalists for interview,” the report said. The winner among the top 5 finalists will be awarded on September 30 with a P200,000 cash prize and a plaque, while the four runners-up will receive P25,000 each and a plaque. Jean Henry Lhuillier, Manager of Cebuana Lhuillier Pawnshop, identified the persons comprising the Board of Judges as the following: Timmy Cruz, singer and 2009 Fr. Neri Satur Awardee on Environmental Heroism; Jose Miguel Jiminez, chief administration officer, P. J. Lhuillier Inc.; Dr. Victoria Licuanan, dean, Asian Institute of Management (AIM); Antonio Meloto, chair, Gawad Kalinga; Rebecca Ortega, chair, Brahma Kumaris; Gov. Grace Padaca, Isabela province Governor; Marixi Prieto, chair, Philippine Daily Inquirer (PDI), Inc.; and Dr. Emerlinda Roman, President, University of the Philippines System.